It is always gratifying to be asked to help, especially when it comes to Thatch Fire Safety. For instance, The Conservation and Heritage Journal approached us regarding their upcoming magazine issue. Here they were planning on featuring fire prevention and protection in listed buildings and museums. 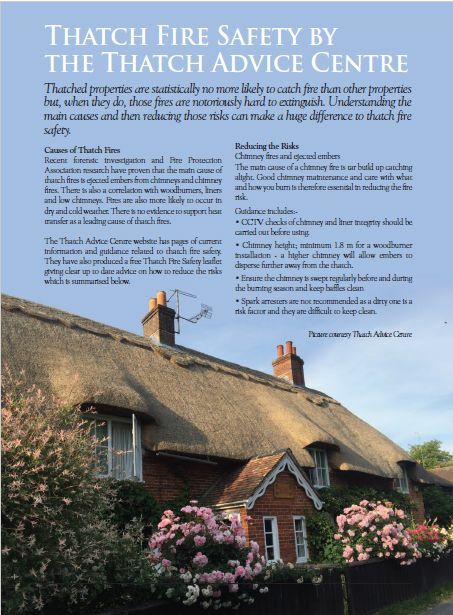 As a result, we were pleased to write a full colour article for the Conservation and Heritage Journal on Thatch Fire Safety and, in addition, to give them some accompanying pictures. The article they have produced will be helping more people understand the fire risks in thatch and how to reduce them. 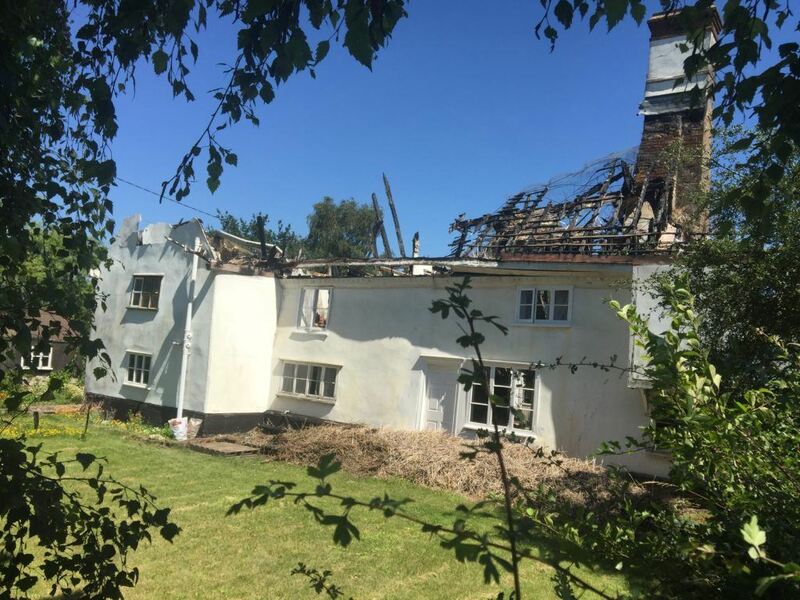 This article covers information in our Thatch Fire Safety Leaflet including the up to date Burgoynes Forensic Investigation work and Fire Protection Association research into thatch chimneys and wood-burners. As a result, their expertise has turned our Thatch Advice Centre words and pictures into a great article in their magazine, published 5th February 2019. Established in 2013, the Conservation and Heritage Journal is a publication distributed on a controlled circulation and subscription basis. It is distributed to key decision makers in organisations in the world of Conservation, Heritage and Ecclesiastical matters. They stay up to date with what is happening in this important sector of our culture with latest news and a wide range of information features written by ‘well respected individuals and organisations in their specialised field of expertise’. This is where the Thatch Advice Centre came in to help. We therefore forwarded an article and images on Thatch Fire Safety based on our experience, knowledge and understanding of the topic. The article has now been published. The Conservation and Heritage Journal has readership of over 22,000. It is an A 4 perfect bound full colour publication published quarterly. Architects, Landscape Architects, Project Managers and Quantity Surveyors specialising in Heritage. The Thatch Advice Centre is proud to make new associations where working together can promote understanding and education, not only on the up to date Thatch Fire Safety advice but on ‘all things thatch’. With our growing number of Thatch Advice Centre Associates we have an expanding network of knowledgeable and experienced specialists to help people with their enquiries. In conclusion, we are proud of our article in the Conservation and Heritage Journal.